The Mpact Girls and Royal Rangers are clubs that provide Christ-like character formation and servant leadership development for girls (ages 3-13) and boys (ages 5-18) in a relational and fun environment. Both clubs meet on Wednesdays, from 7:00 to 8:30 pm. Contact our church offices for more information on how to get your kids involved! 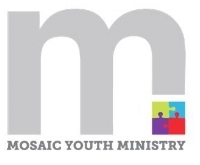 Mosaic Youth is a ministry passionate about coming alongside the parents of Harvest who desire to see their 12 to 18 year-olds experience the Lord in a powerful way. This is a place for students to not only enjoy fellowship and worship together, but to also encounter God, discover their gifts and begin walking out their unique God-given callings! We meet on Sunday Mornings in the Student Trailer next to the main building at 10:30 am.